I have some swatches from Nail'd It to show you real quick today. You are really missing out if you haven't seen any of their creations before! I have 2 to show you today, but definitely like the Facebook page to see even more pretties. I am swooning over what she's got in store for this winter and spring. First is Blue Man Goop. No underwear needed, which is sometime refreshing to see in an indie brand. :) Can't go wrong with a blue and purple polish either! And this is Snowman's Nightmare. Love the name and the actual polish is pretty sweet. I think the combination of shapes and colors is perfect for what the title conveys. I layered once coat over China Glaze Blue Year's Eve. What do you think of these? 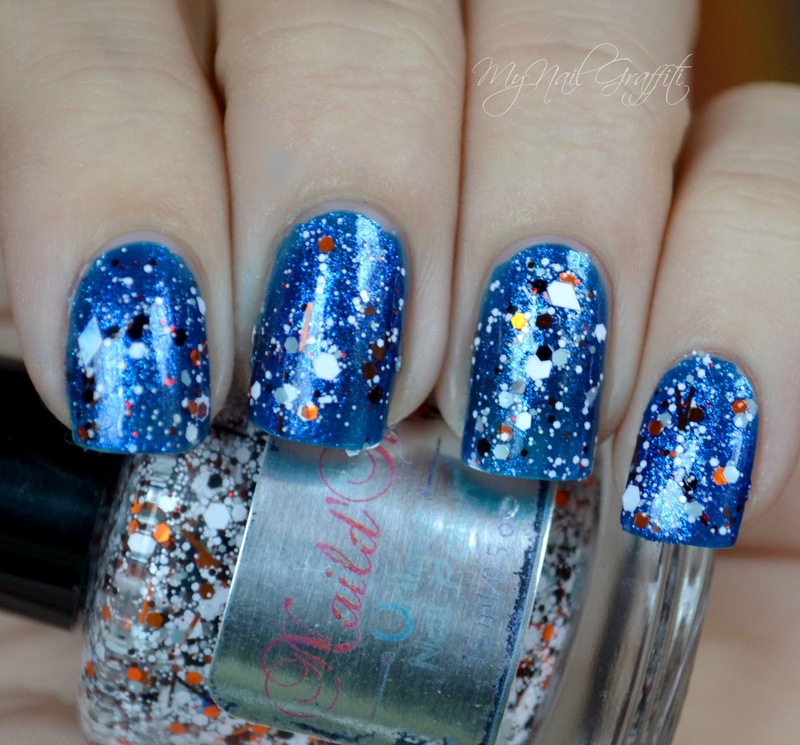 Do you own any polishes from Nail'd It? Follow Nail'd It on Facebook *here* and sign up to receive an update when their Etsy shop reopens. 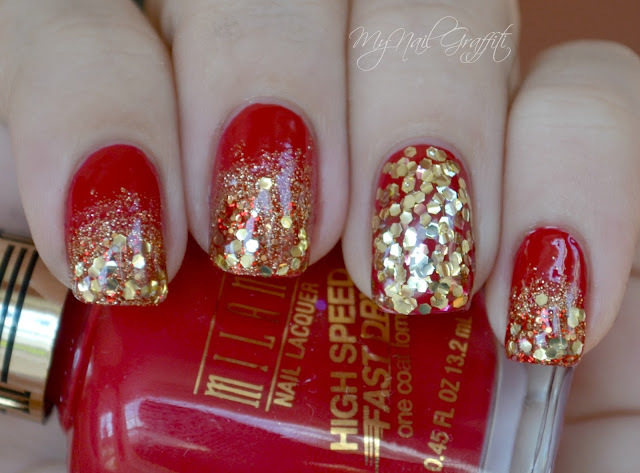 I have one final mani to show you from my collaboration with Milani. The trend was Gilded Rebel and this was the look I came up with: a glitter gradient. Definitely one of my favorite nail art techniques! I hope to be back tomorrow with an indie review! Have a great weekend!